Carnival Sunshine sailing towards American debut! The Carnival Sunshine cruise ship has begun its last voyage in Europe and is heading towards its new home in America. 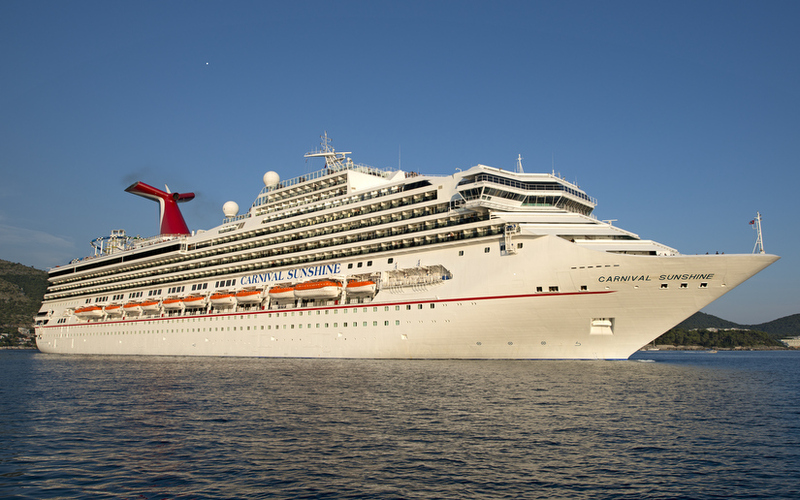 The newly upgraded ship which is operated by Carnival Cruise Lines set sail on Friday from Barcelona, Spain and now calling at several ports before doing a transatlantic crossing towards New Orleans. Carnival Sunshine will be stopping at ports in Spain, Canary Islands and then Grand Turk in the Caribbean before arriving in New Orleans on November 17th. Once the ship arrives there will be a special naming ceremony with godmother Lin Arison. Then on the 18th November the Carnival Sunshine will set sail on it’s very first American cruise on a six-day one-off voyage. Carnival Sunshine will start regular cruising from the Big Easy with seven-day Caribbean cruises all the way until April 2014. the ship will be re-positioned to its real home-port of Port Canaveral, Florida where it will sail five to eight-day cruises to the Caribbean starting on April 19th 2014. It will be sailing from the popular port year round. Carnival Sunshine underwent a huge $155 Million dry-dock which added many new Fun 2.0 upgrades along with some extras. The ship can carry 3,006 passengers and was previously known as the Carnival Destiny. So whose excited to see Carnival Sunshine arrive to the US? Let us know what you think in the comments below.